A loveable little dog thwarts some kidnappers and rescues some children. Cute children's film from the 1970's with camera angles from the dog's point of view to separate it from the plethora of Lassie-type movies. The theme song received an Oscar nomination. It's not the best film of its type, but the dog is so loveable and cute, you can't help but enjoy the proceedings. A host of sequels followed, as well as some films which just happened to feature the same dog for reasons of cuteness only. Director Joe Camp made this film in response to the overabundance of low-quality family films released through the "four wall distribution" concept. ("Four-walling" is a sort-of self-distribution process where a filmmaker and/or distributor rents a theater to show their films, and receive all box-office revenues.) In an interview with Variety Magazine in 1977, Camp said, "It has become an industry-caused thing, but the G rated classification has to some degree become 'if it's G, it can't be for me'." 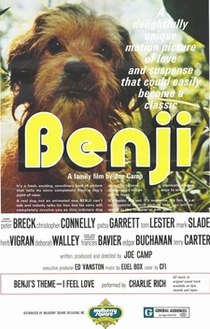 Camp was concerned that "four-wall fast-buck distributors" had oversaturated the market for G-rated films, so in response to the low quality of these films, he created Benji. Benji gets a paranormal twist in this muddled fantasy, far too unsuitable for children with some of its mature humour. 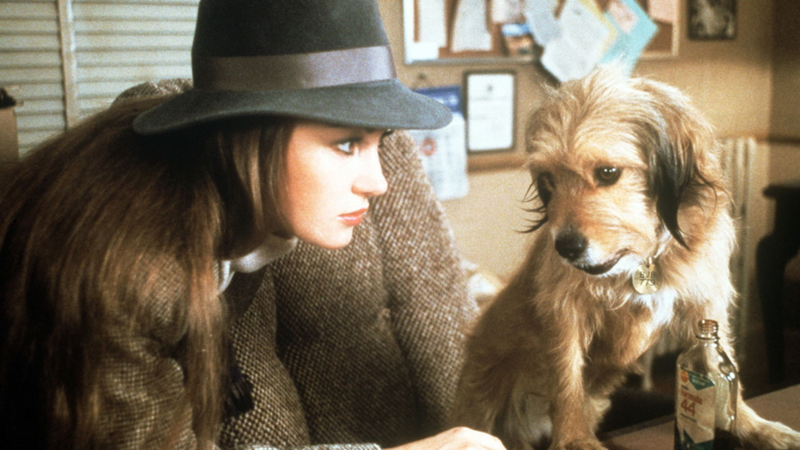 A private investigator (Chevy Chase) is murdered and reincarnated as a dog to solve his own murder, with the help of Jane Seymour. Unfortunately, the film can't make up its mind whether it wants to be a mystery or a comedy vehicle for Chevy Chase, voicing a dog for the vast majority of the film. It's not really a sequel to the Benji series of movies, but it does star the same dog and is helmed by the same director (Joe Camp). Unfortunately it's a complete mess of a film which ought to have been put down. 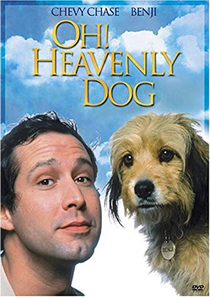 When Benjamin Browning (Chevy Chase) reaches Heaven, he is sent back to Earth as a dog by a man named Mr. Higgins. 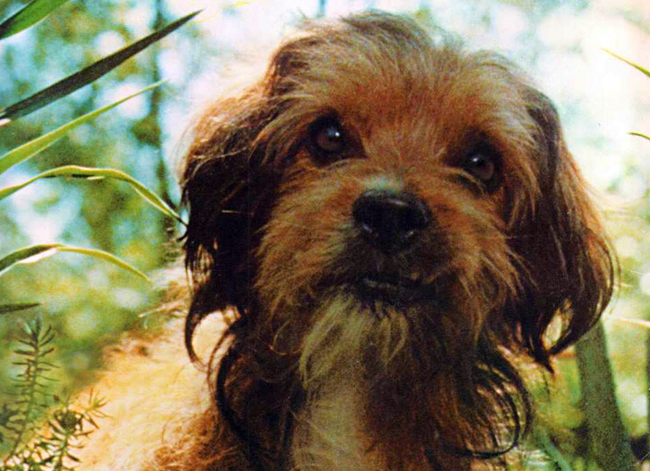 Higgins was the original name of the dog (1957-1975) who later became Benji. In this movie, the dog is played by Benji, the daughter of the original Benji.